It is hard to imagine the trauma that this family experienced in these few short years. Their mourning must have been profound. Why didn't Laverne name her babies? How did Laverne mourn so much loss? 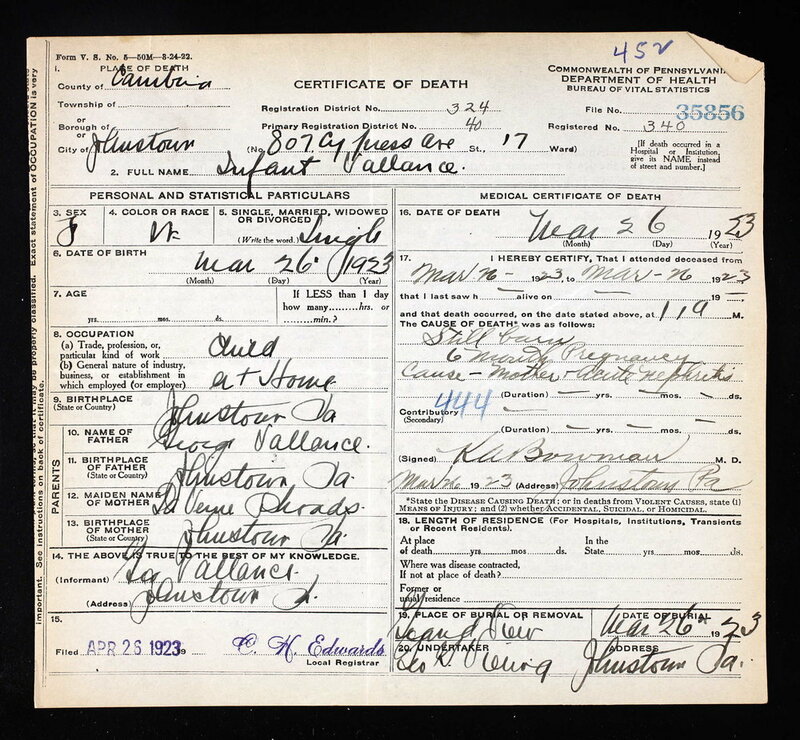 How close was my great grandmother (Ida) to Laverne and did she help her through these tragedies? How did Laverne respond when Ida lost a much older children of her own in 1927. Was she able to be supportive? Was it retraumatizing? What is the impact of multiple stillbirths on generations that might follow? How are these traumas passed along from generation to generation in story and lore? Are they remembered or forgotten and why? So you have similar stories in your family tree? I would appreciate hearing about them. This is the 19th of 52 weekly posts planned for 2018. 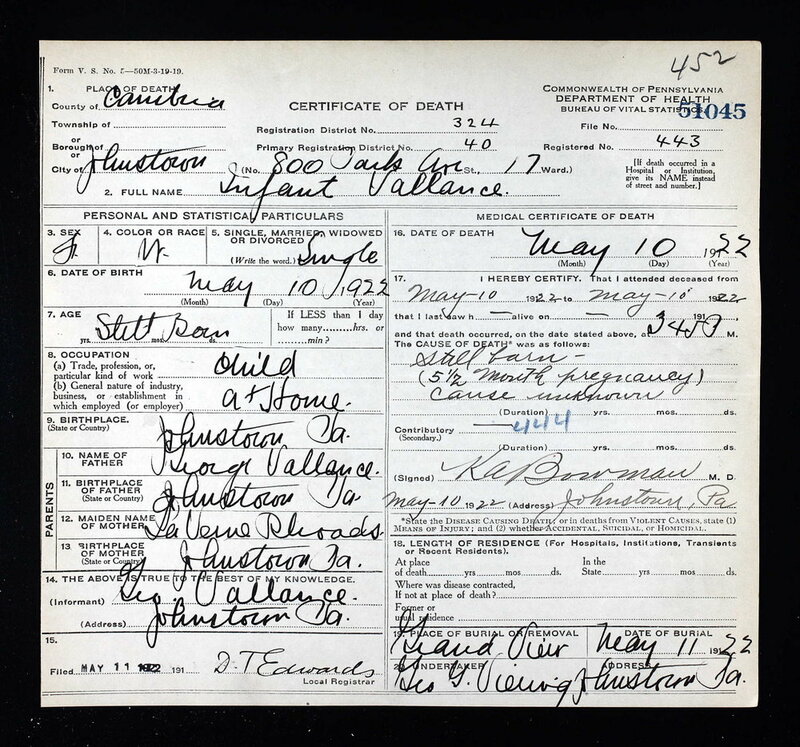 It was inspired by the #52Ancestors writing challenge issued by professional genealogist, Amy Crow Johnson. The challenge: once a week, for all 52 weeks of the year, write about a relative in your family tree.